Against all odds (and/or streaming services), genre festivals continue to seek out new life and new civilizations. 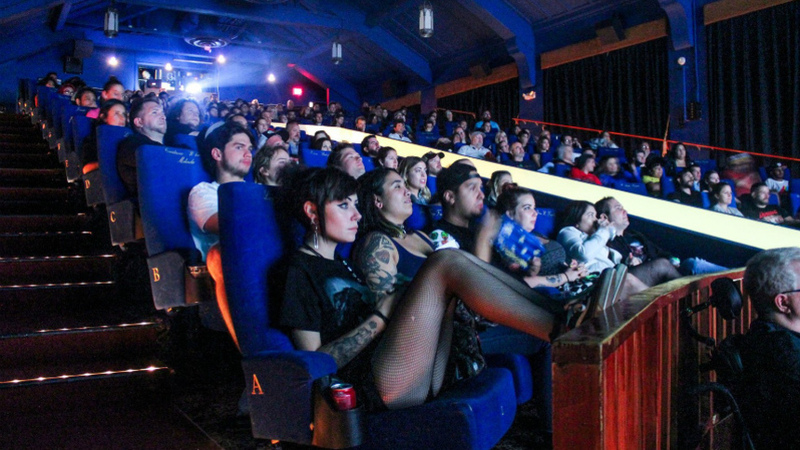 Billing itself as the largest genre film event in the Southeast United States, Popcorn Frights Film Festival kicked off in 2015 and has only grown since then. The festival is hosted at a historic theater in Fort Lauderdale, Florida and held annually in the summertime, which makes perfect sense if you've ever visited Florida in the summertime, when it's hot as blazes and nothing feels better than sitting in an air-conditioned theater with other like-minded people, discovering new international genre delights. Every festival always must fight for life; every festival goes about it in their own unique way. Popcorn Frights has now partnered with Alter, which is the newly-launched horror brand from feisty distributor Gunpowder & Sky. The company's latest release is Her Smell, starring Elisabeth Moss, while other recent releases include Lords of Chaos, Prospect, Hearts Beat Loud, and Summer of 84. Alter, the horror brand, features two short films each week, available to watch via YouTube, Facebook, and its own site. They already have an impressive collection of short films in their showcase. Now Popcorn Frights says that selected short films presented at their festival will be eligible for review for distribution on the platform. Films can be submitted to Popcorn Frights via their Film Freeway page.